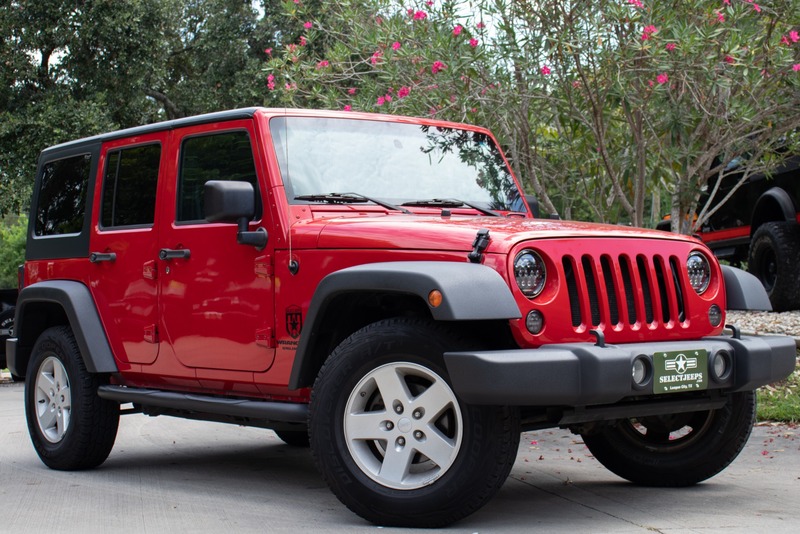 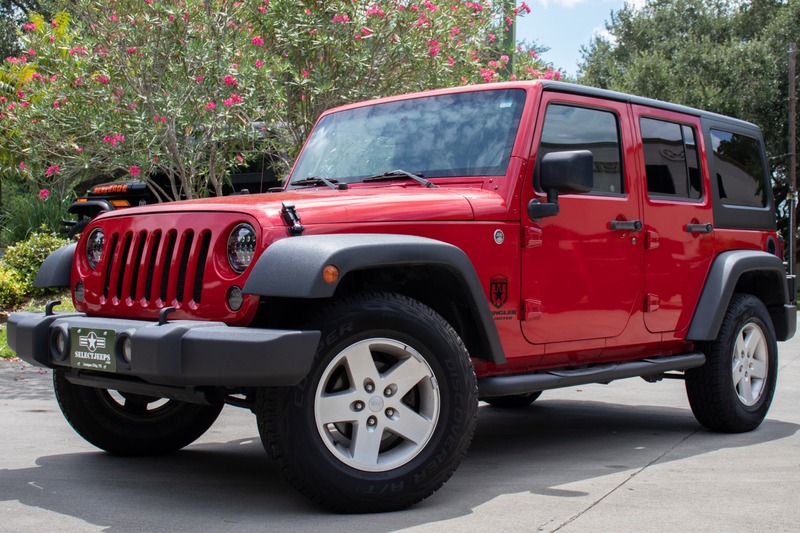 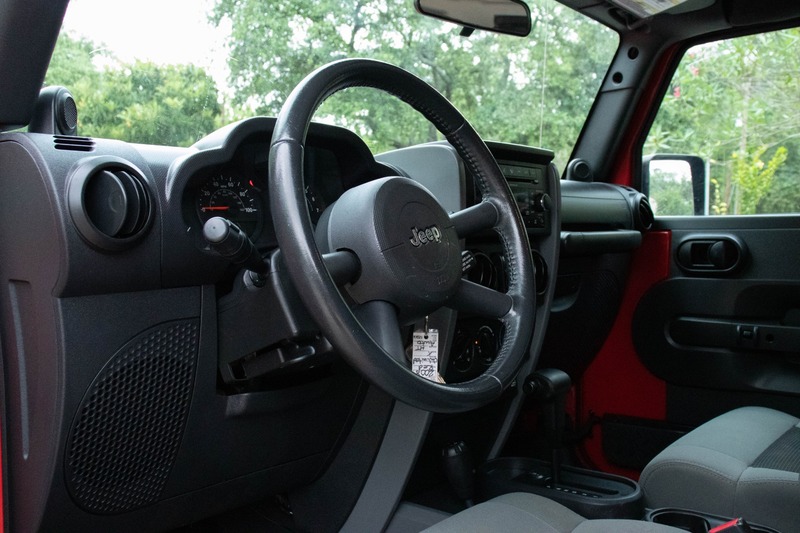 This Flame Red Jeep Wrangler looks and drives great! 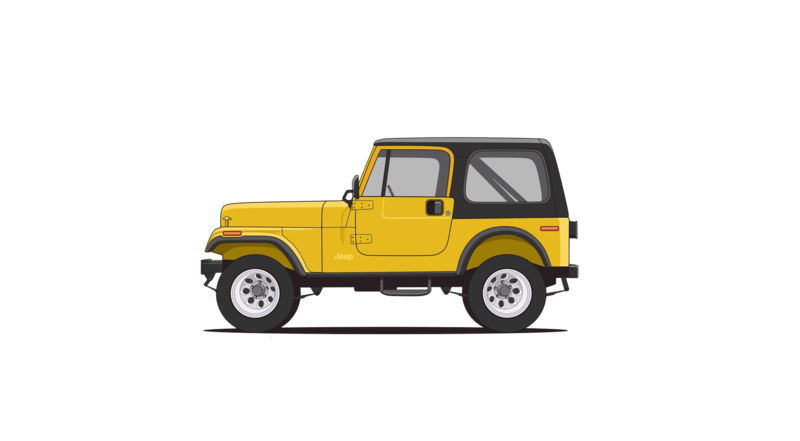 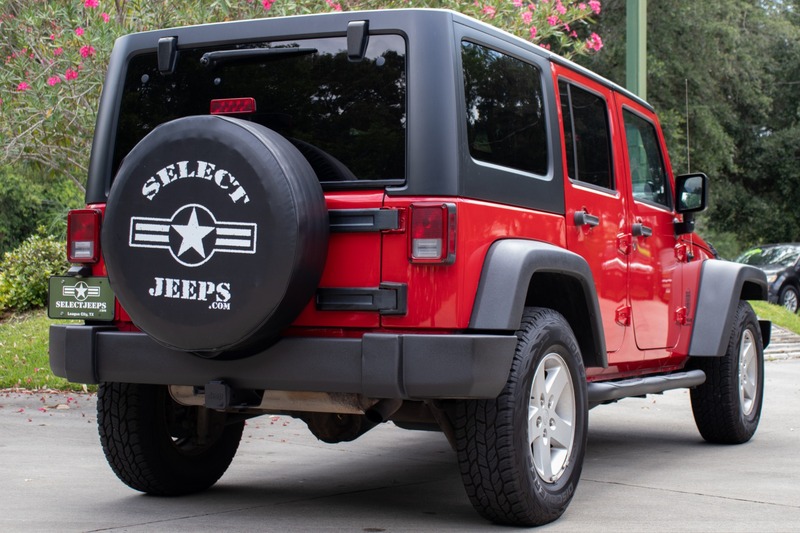 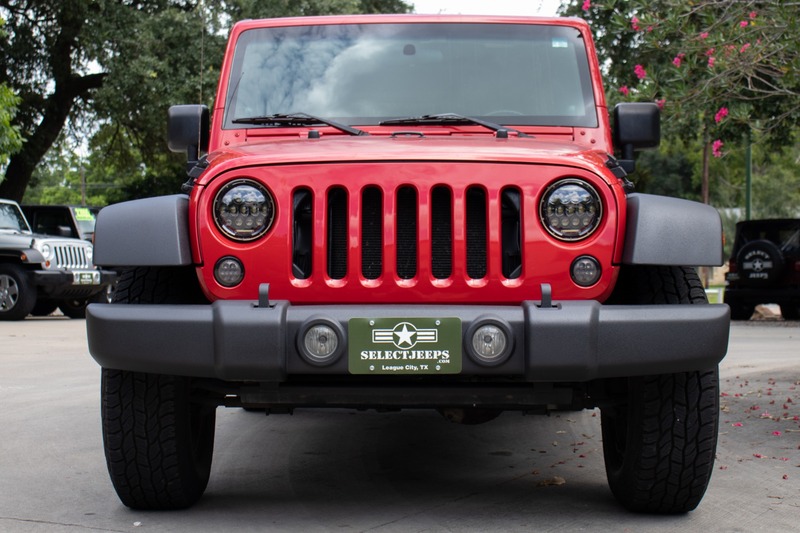 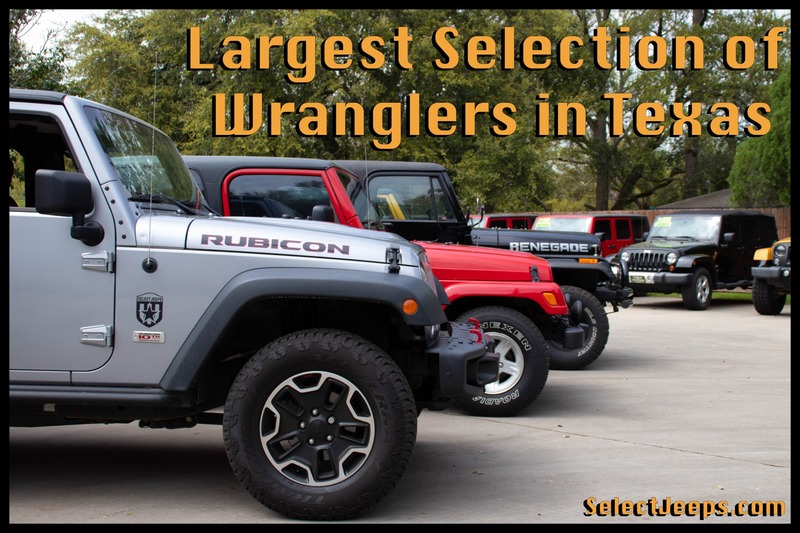 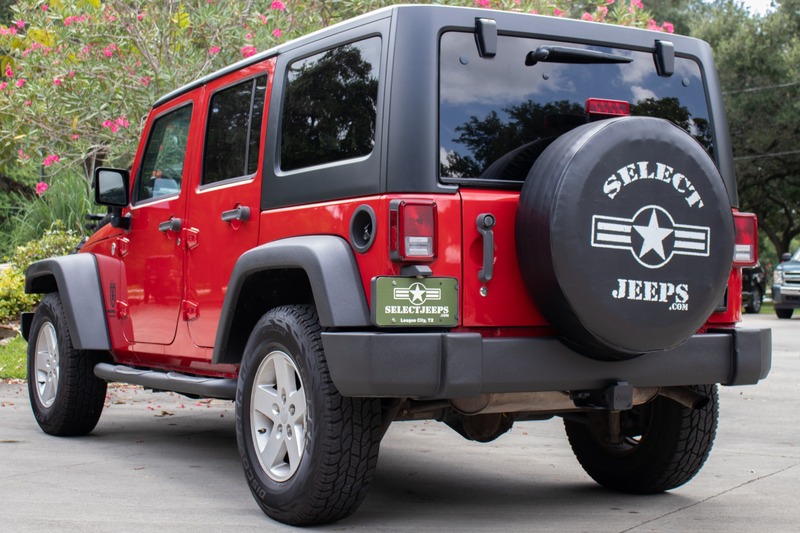 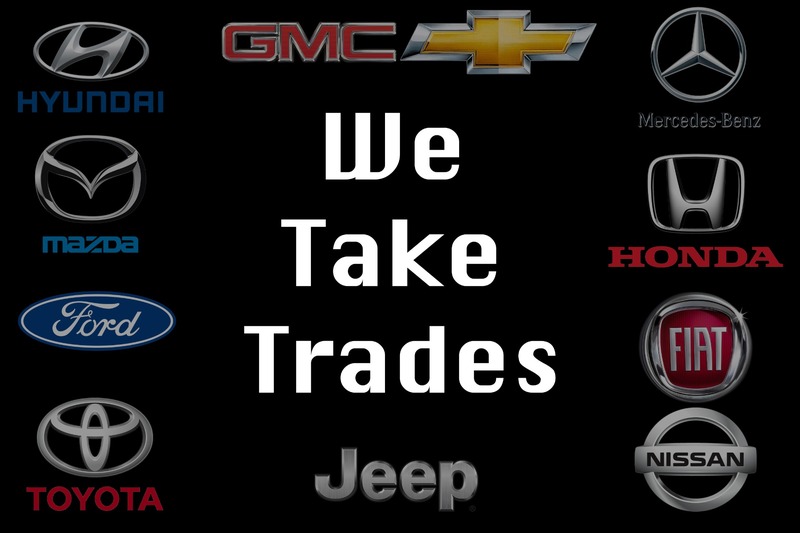 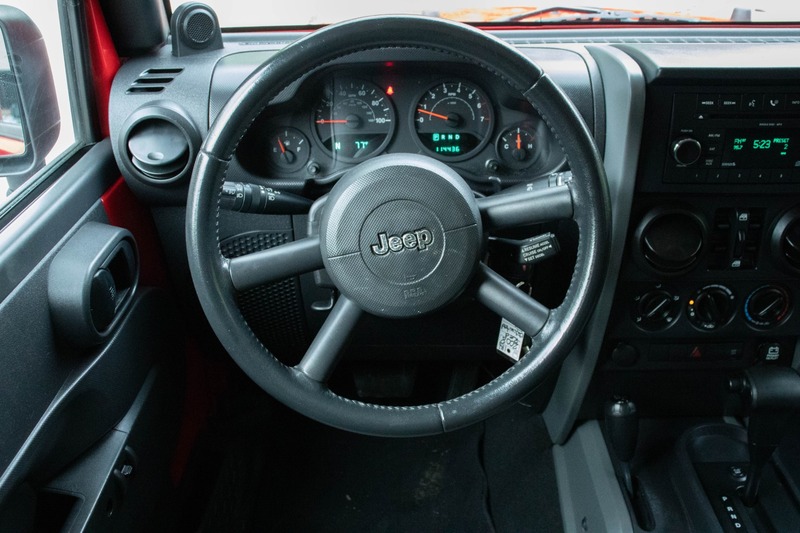 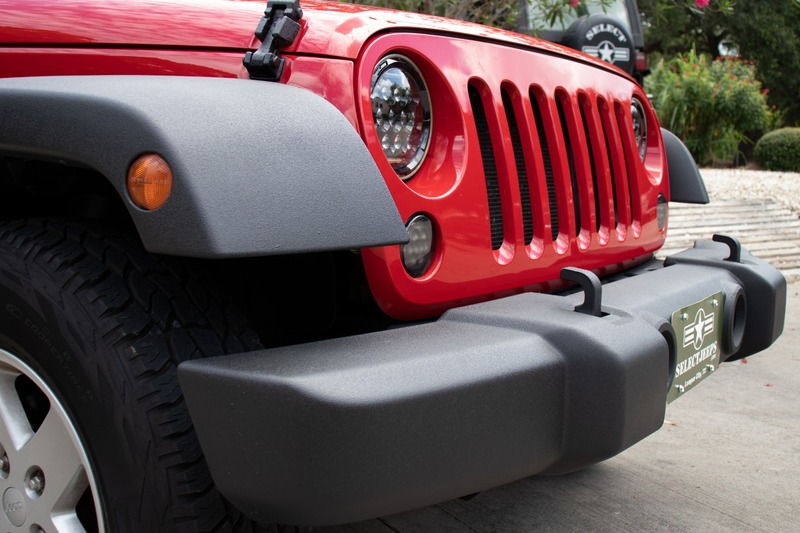 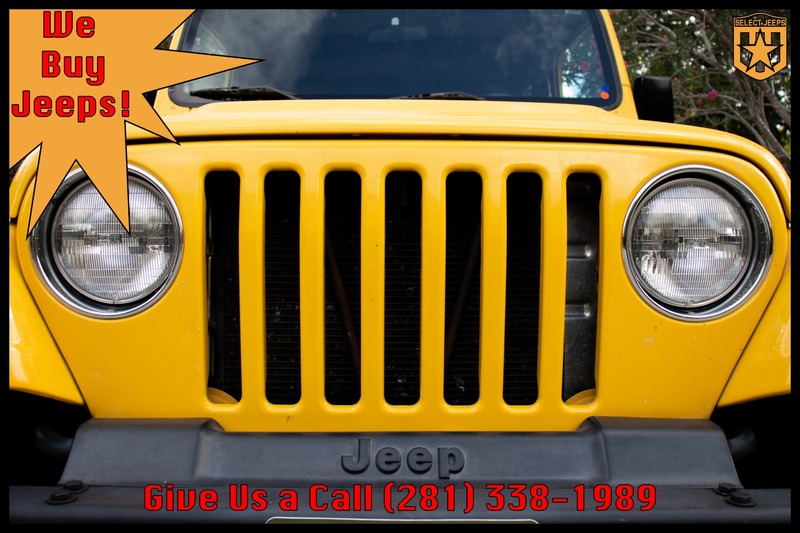 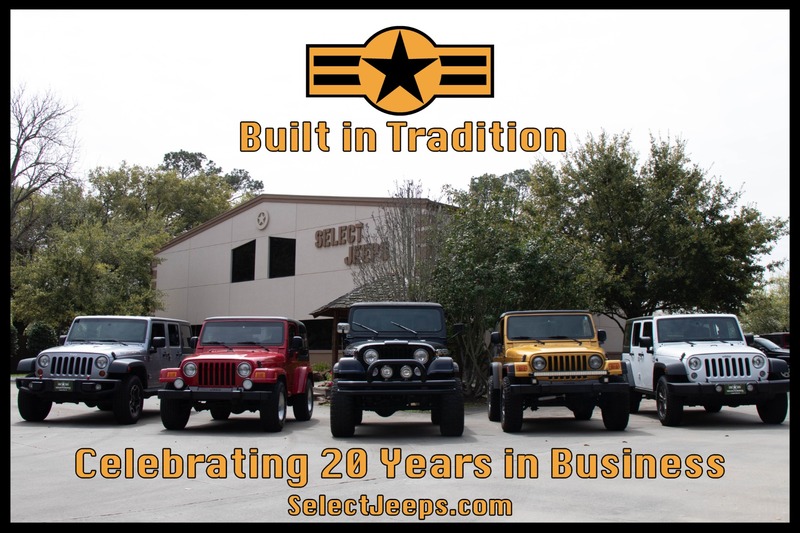 Cooper Discover A/Ts give this Jeep both premium on-road handling and off-road capability. 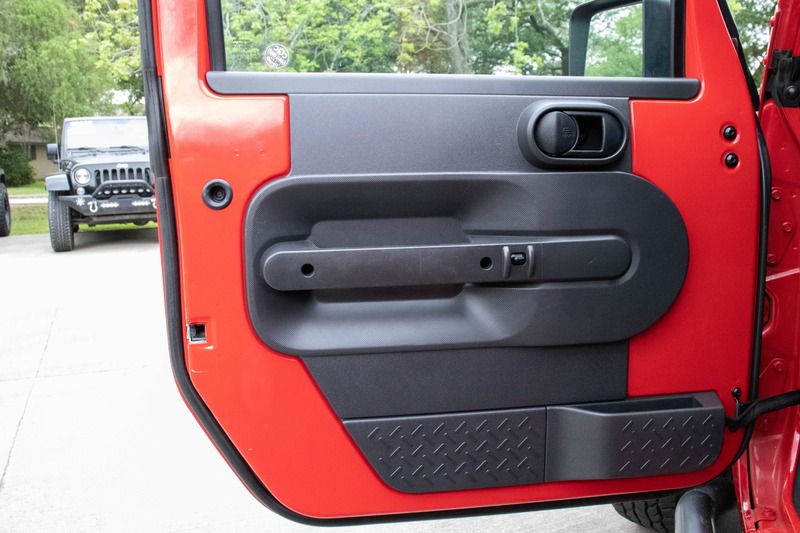 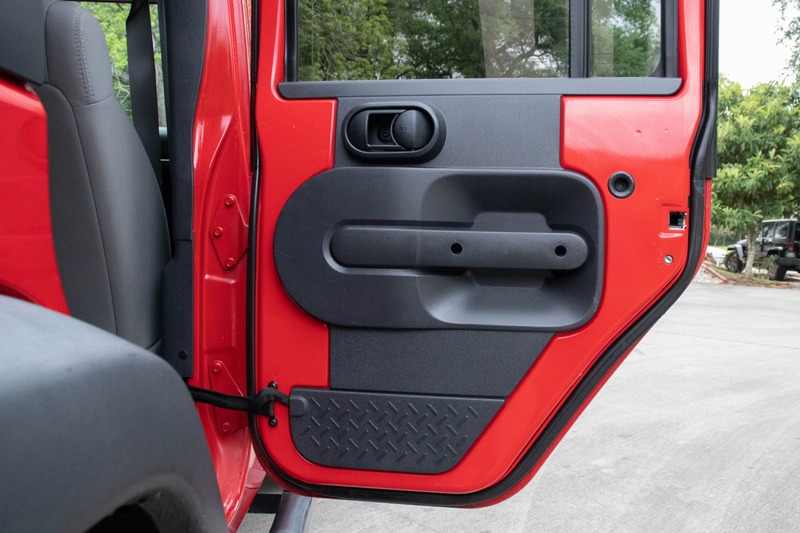 Tubular side-steps makes getting in and out of this Jeep a breeze. 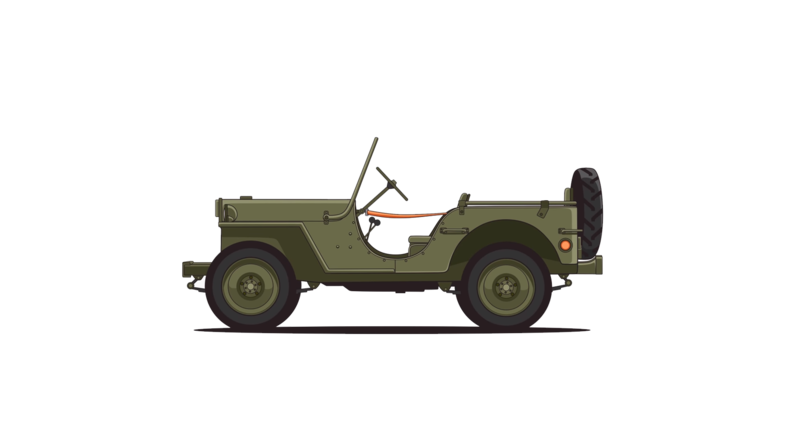 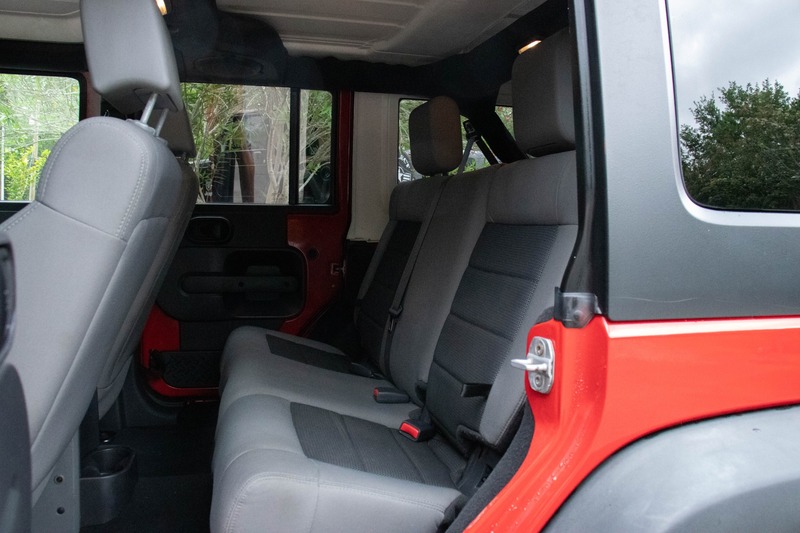 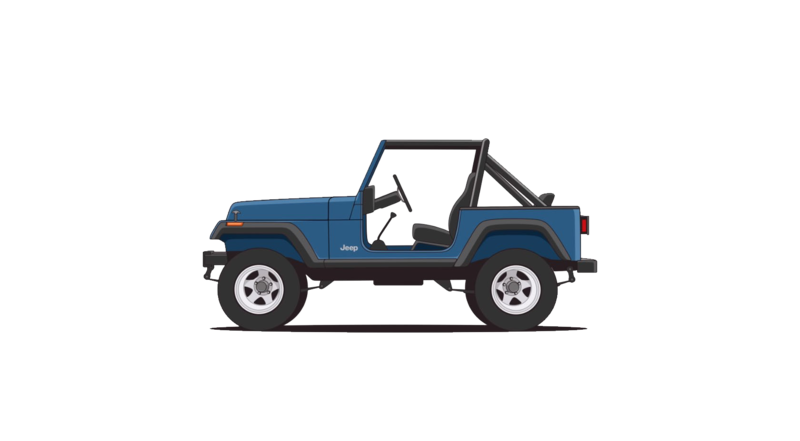 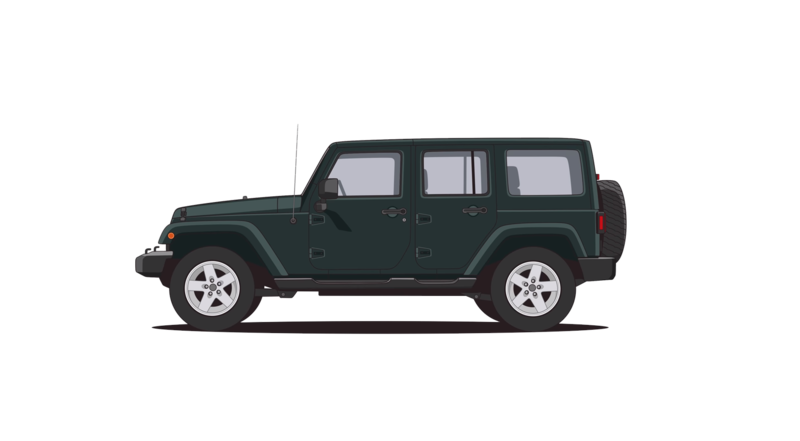 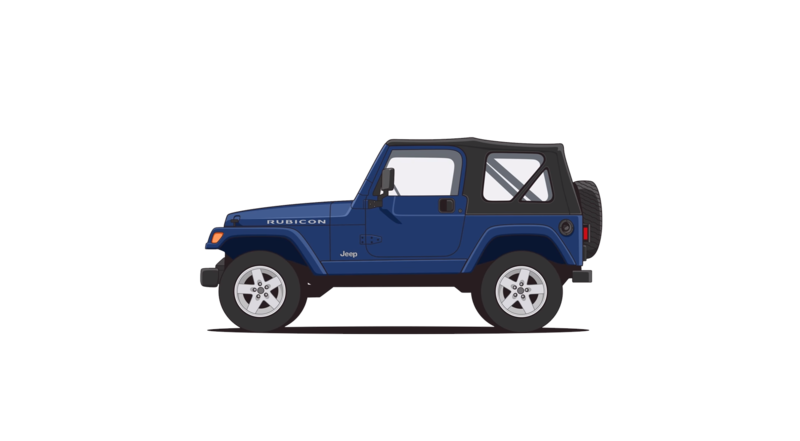 The three-piece Freedom Hardtop provides a quieter ride and a sense of added security while the easy to remove Freedom Pannels let you easily enjoy the open air capabilities of a Jeep. 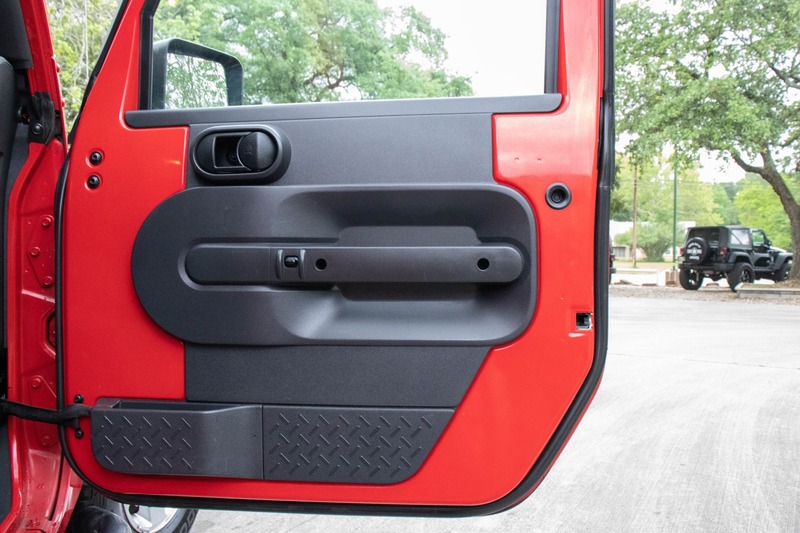 The Flame Red exterior paint is clean, unfaded, and makes an entrance when pulling up to any parking lot or trailhead. 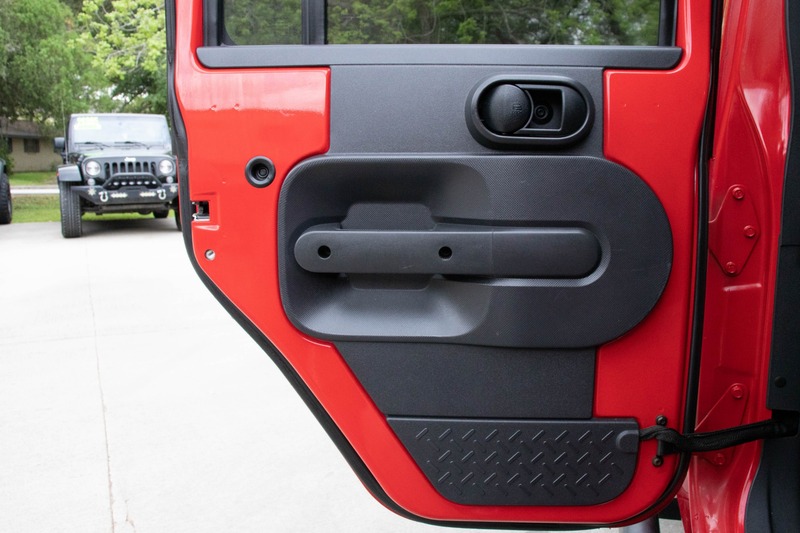 The tow hitch and 4 pin wire connector will make sure you can carry those bikes to the trail, that Sea-Doo to the water, or pull that small trailer to your destination with ease. 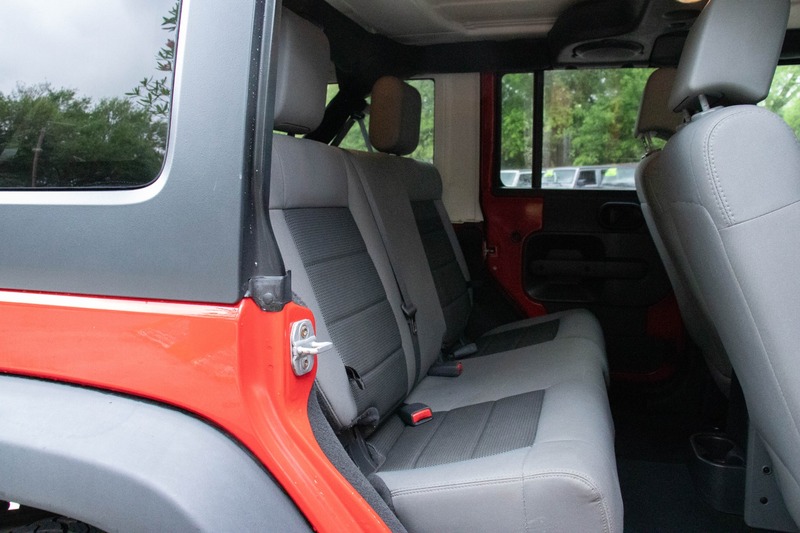 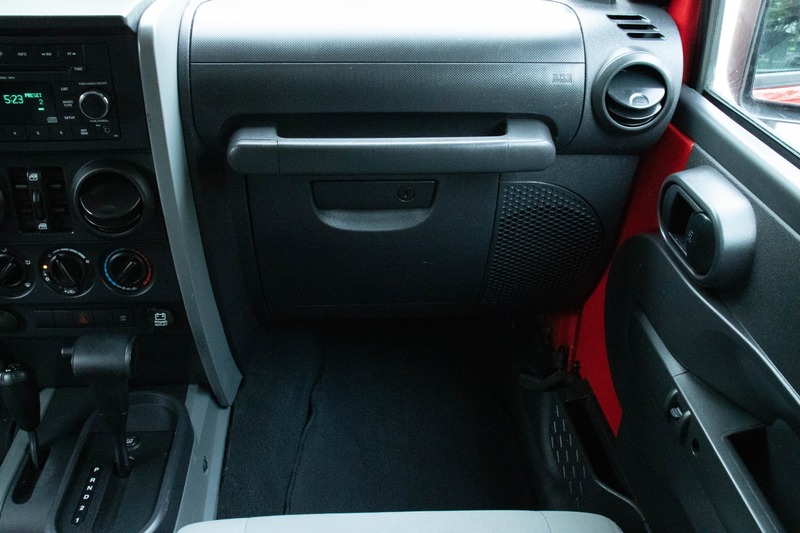 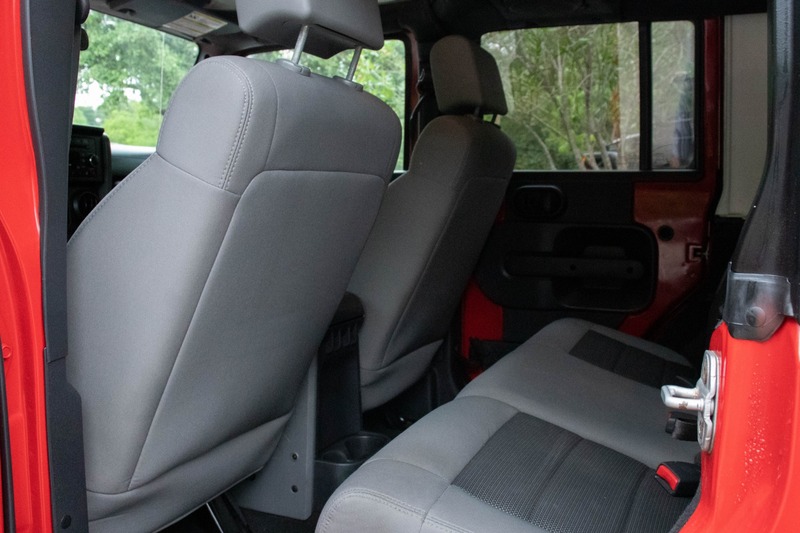 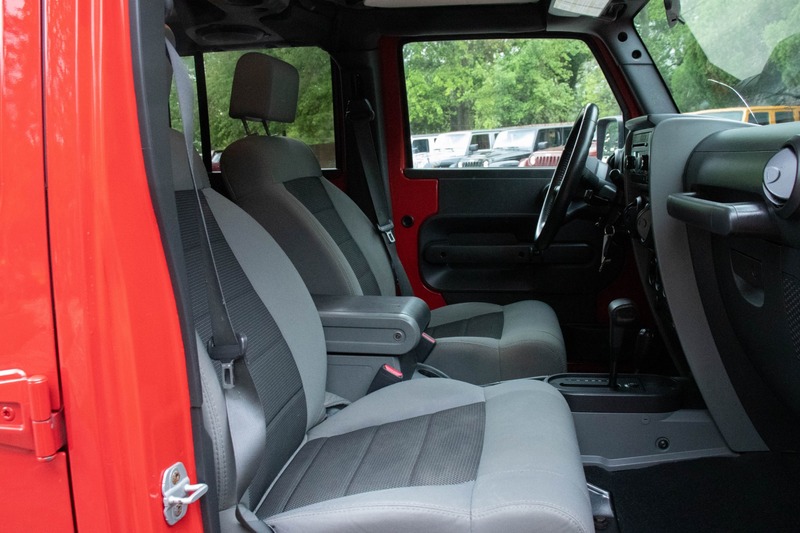 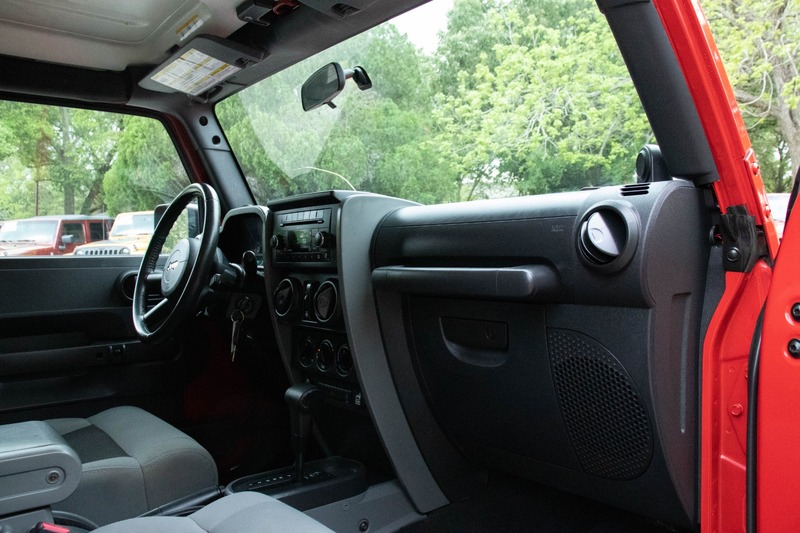 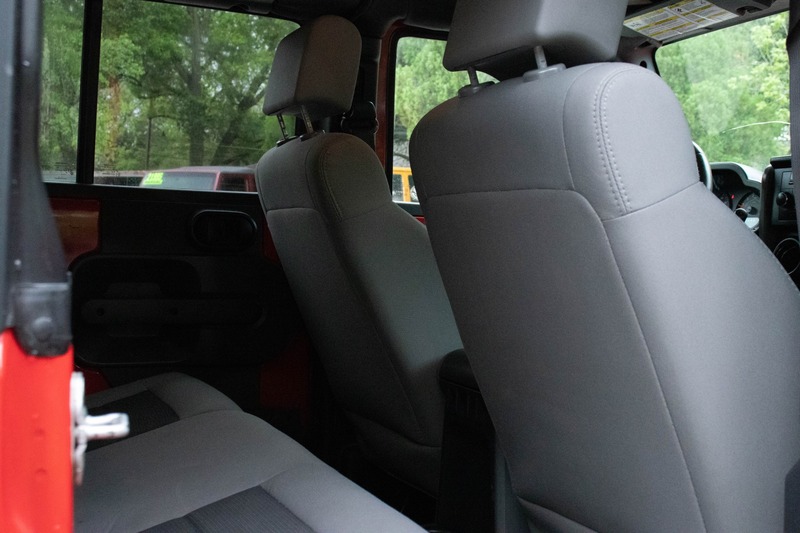 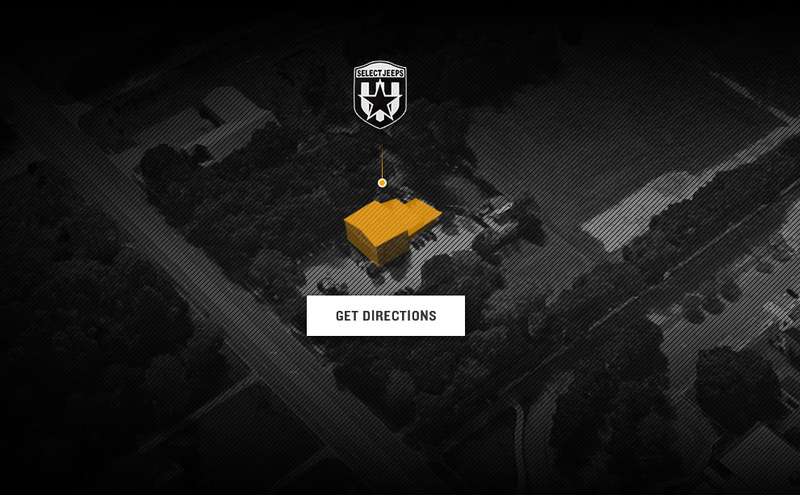 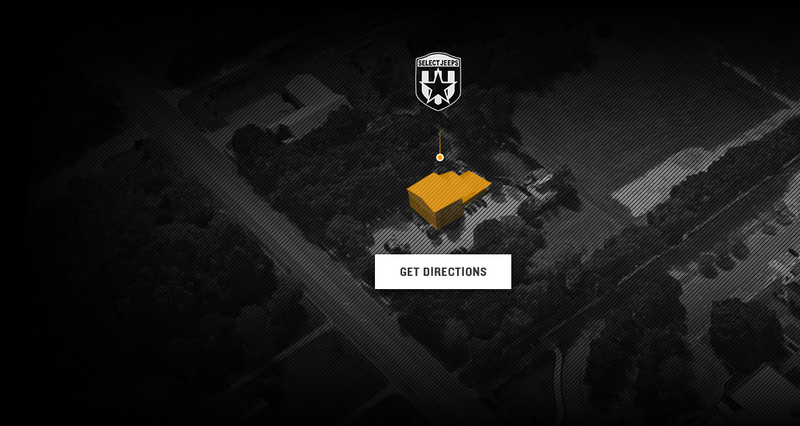 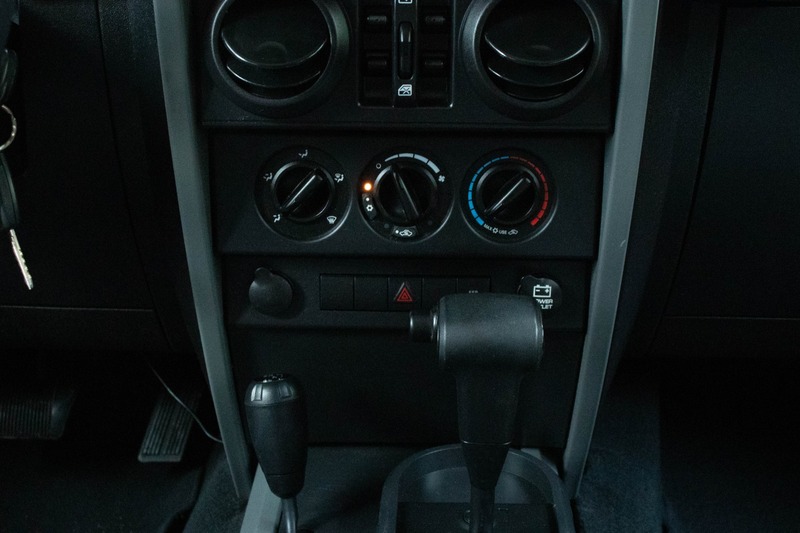 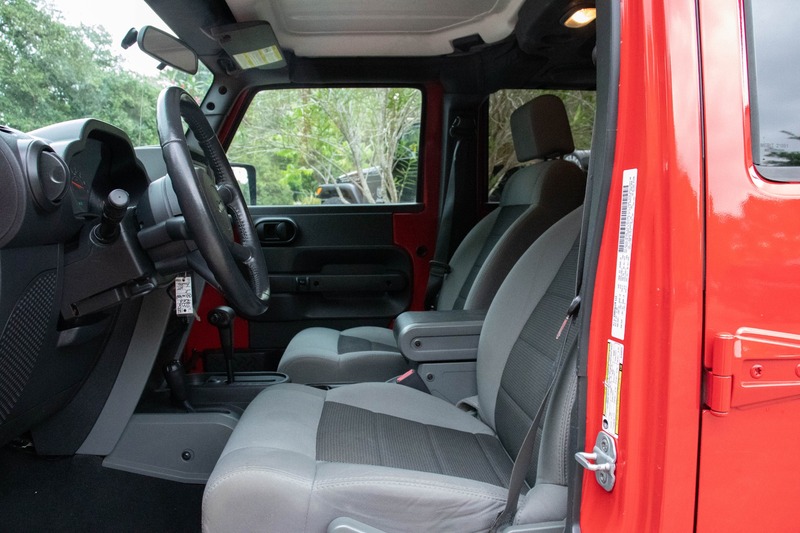 Inside is equipped with a clean cloth interior and cruise control for a more comfortable commute. 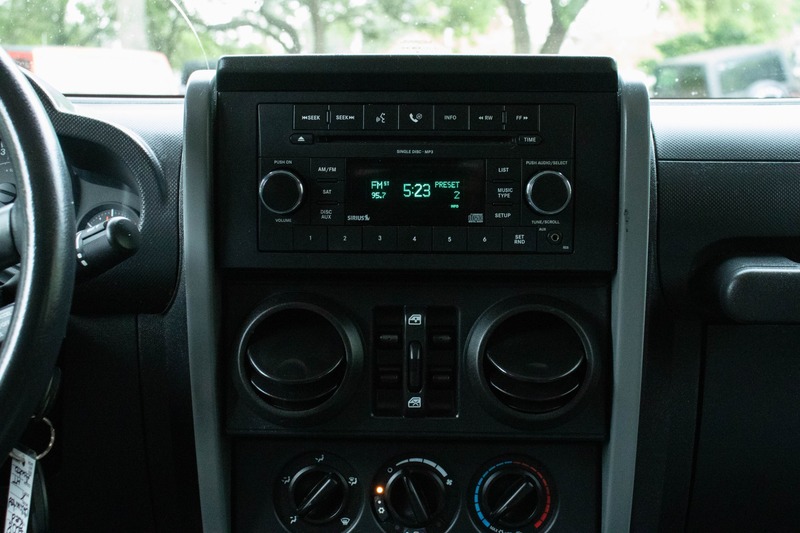 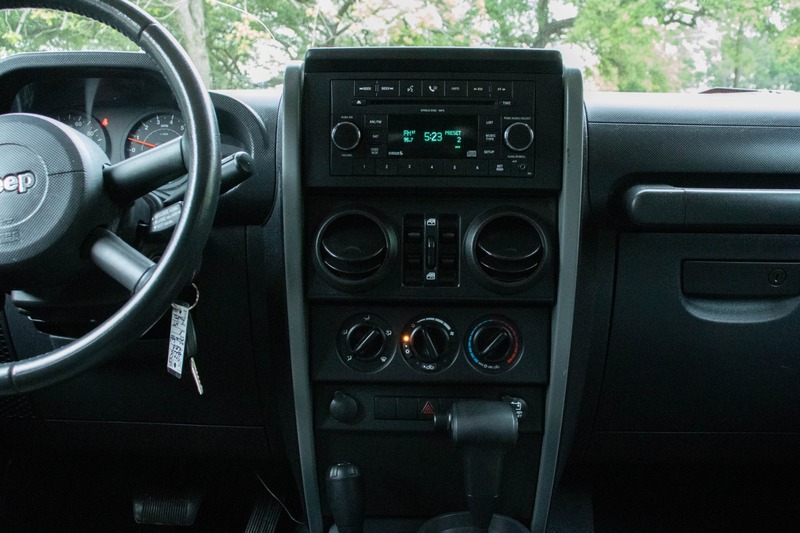 The AM/FM radio is equipped with an Aux input for easy music listening. 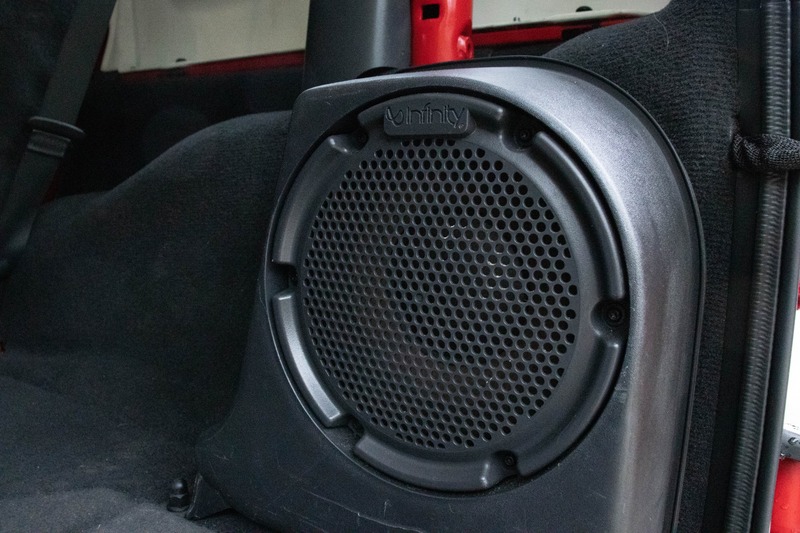 Premium Alpine speakers and an All-Weather subwoofer with make everything sound great.